Direct CommanderWhat is Direct Commander? Finding a specific keyword that may relate to different ad campaigns (for example, to correct a bid). If you are an agency representative, select the client in the Clients tab. 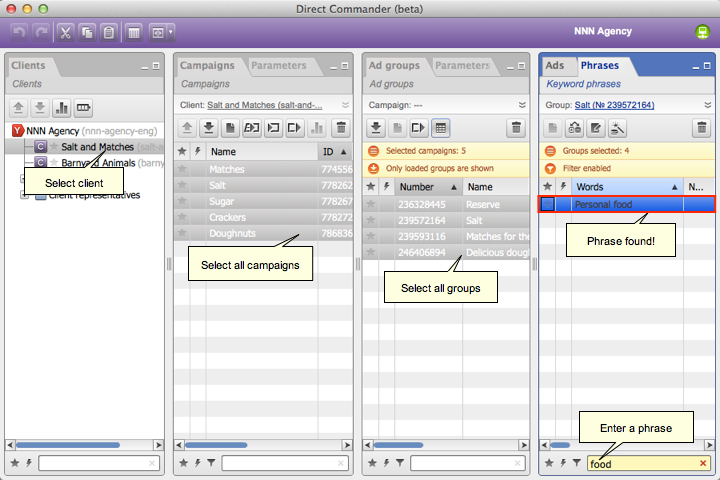 Instantly select all campaigns in the Campaigns tab. Select all groups at once in the Ad groups tab. Apply a filter in the Phrases tab by entering the appropriate keyword.